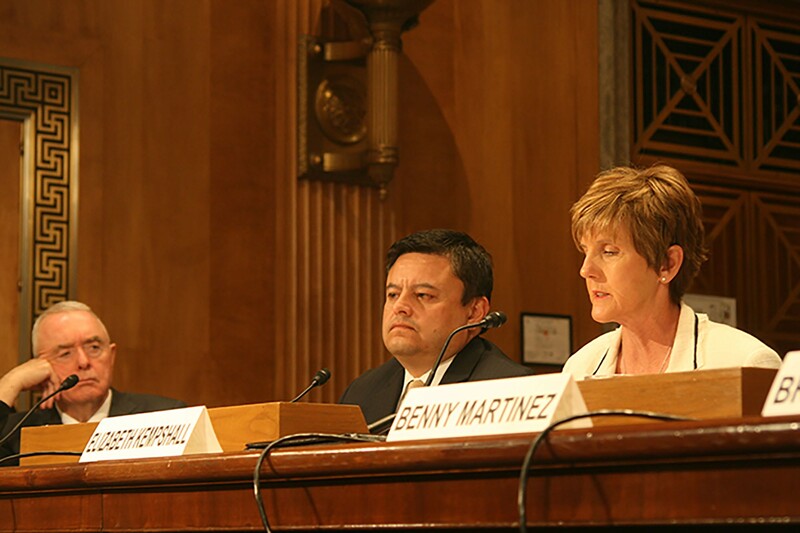 WASHINGTON – The director of the Arizona High-Intensity Drug Trafficking Area testified Tuesday that lookouts are “fundamental” to the success of drug cartels, but there is currently no law that specifically outlaws what border spotters do. “It’s been difficult for us to prosecute the scouts. There’s just nothing specific for them,” said Elizabeth Kempshall. 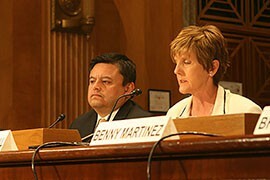 She and others testified to the Senate Homeland Security and Governmental Affairs Committee that border spotters are able to use high-end technology and strategic positions – in Mexico and as far as 75 miles into Arizona – to steer smugglers away from police and border patrols. Her testimony came the same day that Arizona lawmakers introduced bills in the House and Senate aimed at stopping that problem by specifically criminalizing “illicit spotting” and destroying fences or monitoring devices along the border. The Transnational Criminal Organization Illicit Spotter Prevention and Elimination Act calls for fines and up to 10 years in prison for those violating the law, and up to 20 years for those caught with a firearm while destroying border security devices. The bills were introduced by Sen. John McCain, R-Ariz., and Rep. Martha McSally, R-Tucson, with five other House members from the state signing on to her bill. Aides in McCain’s office said until spotting is criminalized, lookouts can only be charged with conspiracy or illegal presence. McSally said the current situation is “very frustrating” for police and border patrols who deal with spotters. Retired Gen. Barry McCaffrey, former director of the Office of National Drug Control Policy, told the committee Tuesday that spotters are an issue for border residents as well as police, relating the story that an Arizona rancher told him. McCaffrey and Kempshall both said at the hearing that prosecuting scouts is an important element of combating drug smuggling, but that at least part of the problem isn’t the cartels supplying the drugs – it’s Americans demanding the drugs. Kempshall also stressed the importance of drug education to stemming the demand. “They bring their drugs to the United States because we have an appetite for illegal drugs,” she said. Her prepared testimony said drugs funneled through Arizona find buyers across the country. The 451 seizures outside Arizona that could be tied back to the state between fiscal 2012 and 2014 netted 10,223 kilograms of marijuana, 202 kilograms of methamphetamine, 141 kilograms of cocaine and 37 kilograms of heroin. 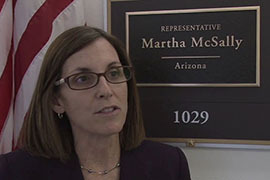 Rep. Martha McSally, R-Tucson, said her bill to criminalize the actions of those who are lookouts for border traffickers grew out of meetings with police and residents on the border. Elizabeth Kempshall, executive director of the Arizona High Intensity Drug Trafficking Area, said spotters who act as lookouts are fundamental to drug organizations' success on the border.